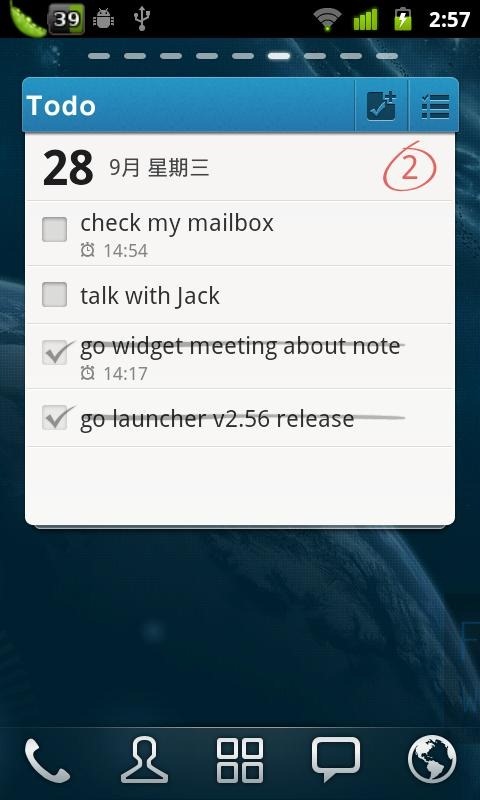 The GO Launcher Dev Team, the branch of the GO Dev Team responsible for GO Launcher and a number of plugins/widgets, has released yet another extremely useful widget into the Market: GO Note Widget. 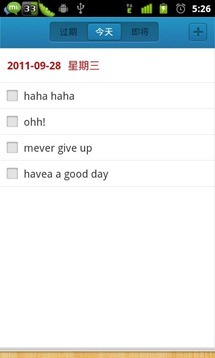 This widget is a simple, yet highly functional addition to your homescreen that allows you to jot down a quick note, keep track of tasks and todos, or even draw or doodle in a note. 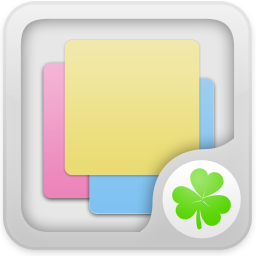 GO Note offers three different widgets: a 1x1 note, 2x2 doodle/handwriting utility, and 4x3 todo/schedule widget. If that's not enough choice for you, GO Note also allows you to customize both page and font color, so the widget can easily blend with any theme or wallpaper. The interface is clean, fluid, and just works -- exactly like we've come to expect from the GO crew. 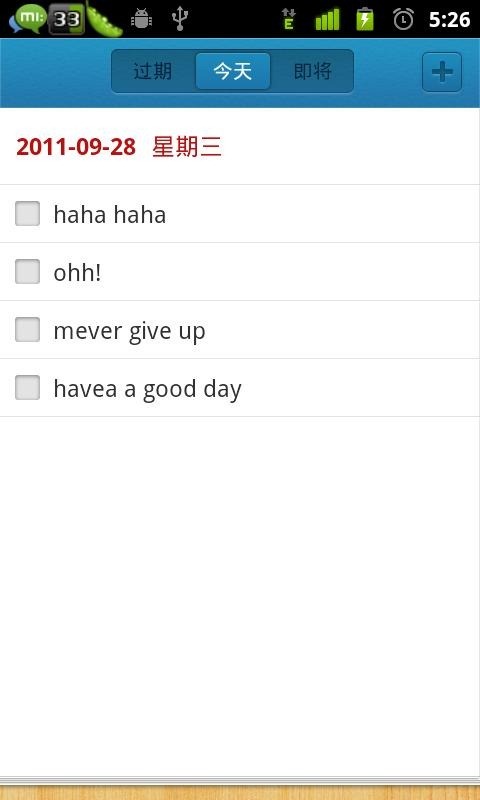 Remember -- mever give up! 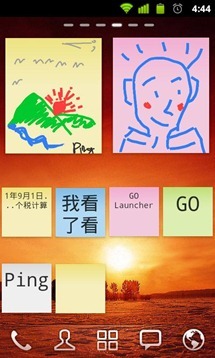 There is a catch, however: you must be using GO Launcher to use this widget. 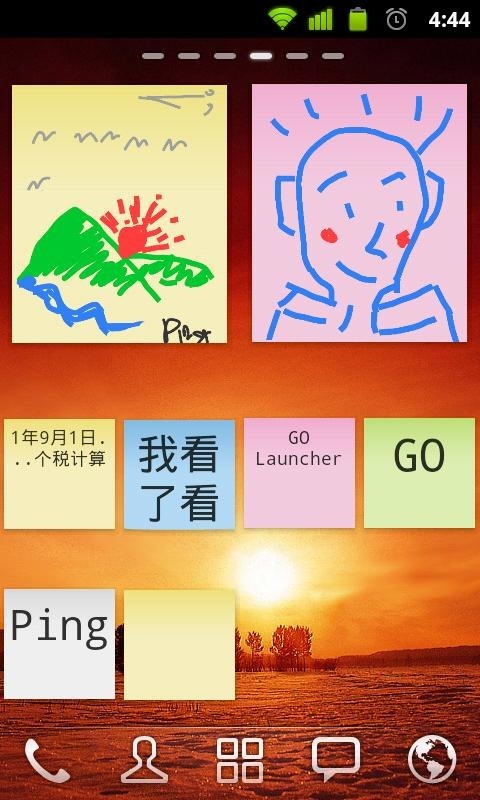 Let's be honest though -- if you're not already using GO Launcher, you probably should be.